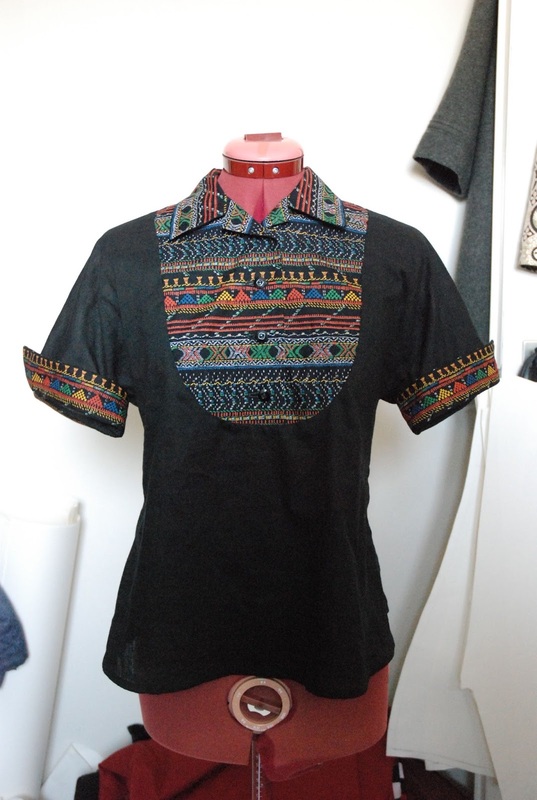 Obviously, this is not how you should see this blouse, but I thought it would be nice to give you a sneak peek anyway. This is the blouse from Bella magazine, made using the pattern I showed here last week. I just followed the instructions and I am not disappointed. There was only one thing really wrong with the instructions: There is one measurement which is missing, a corner of the front hemline. It is pretty easy to figure out though. Its distance to the edge of the rectangle looks similar to that of the bottom of the sleeve, so I made it the same: 7 cm from the edge. After that, I made a different collar. Even re-sized, I wasn't very keen on that the standing collar with fold-over tips in the original design. Instead, I made a convertible collar. Simple and not out-of-style for the period. 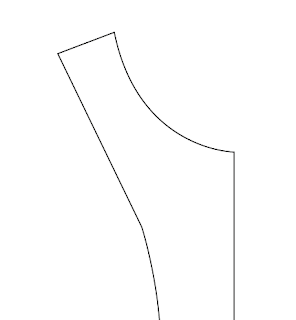 This type of collar is drafted, and sewn, from center front to center front. It does not touch the front overlap pieces. 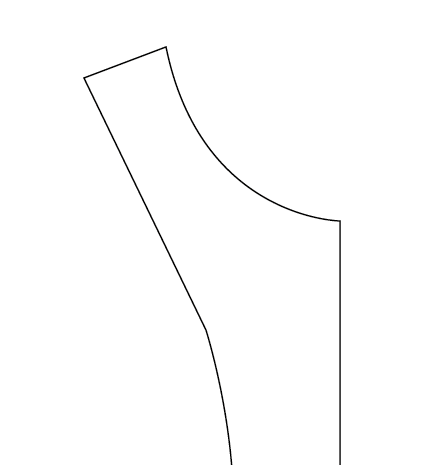 Draw a rectangle with the length of half the neckline measurement and the height you want as the height of the collar. In this case, the height is 7 cm. The collar folds so that is not very high. 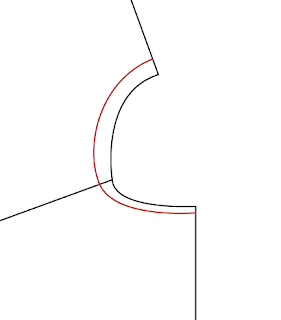 Then curve up the front edge of the collar piece by 0.5 cm and draw its point. 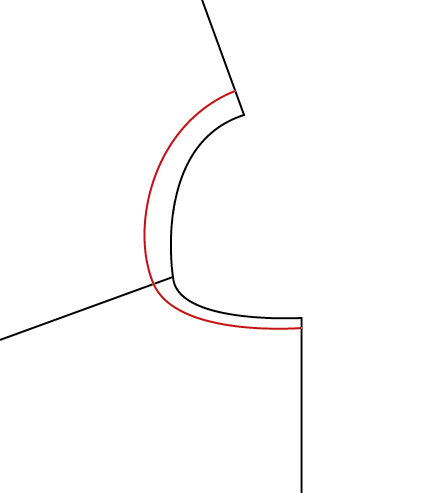 When sewing, sew up the top edge of the front overlap first, clip the seam allowance to the end of the seam so it can be pressed to the inside while the rest of the neckline seam allowance is still free and then sew on the collar. Next weekend will be really busy but I hope I will find some time to take pictures of me wearing the blouse. It looks so much better tucked in. It looks great! Clever way to highlight interesting fabric.